Lot Size App. 3,000 sq.m. Total Floor Area App. 20,300 sq.m. Commissioned by Hulic Co., Ltd., as the adviser for commercial facilities in lower floors, we supported the developer with preparing project proposal for competition, construction planning, tenant leasing, and supervision of interior works. 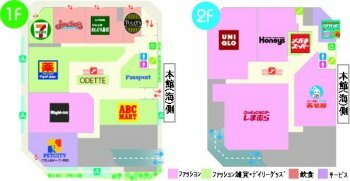 ◇New annex development to reactivate the existing suburban SC "Viale Yokohama"
Commerce; rentable space 6,600 sq.m. *Connected by deck to the existing SC "Viale Yokohama (anchor: Jusco and 70 tenants) "
Commissioned by the developer, Kanazawa Shogyo Kaihatsu, we conducted total development produce, adjustment for Large-Scale Retail Stores Location Law, construction planning, tenant leasing, and supervision of interior works. 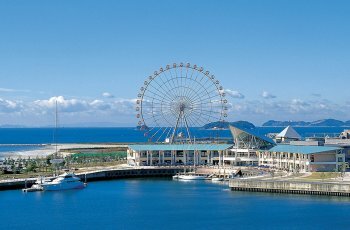 Commissioned by JFE Steel Corporation, Ito-Yokado Co.,Ltd., Shimacyu, SEGA, and JFE Urban Development Corporation, we conducted the following services. *Direct management of candle shop "Candle Factory SOGA"
Store area; App. 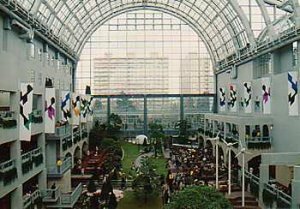 80,800 sq.m. 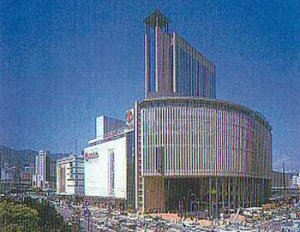 We have worked as the development producer under contract with KK Bell Mall, and acted for the developer for research&planning, coordination with key tenants (Ito-Yokado), business planning, control of income (from tenants), cost control, and so on. We organized a team with outside staffs and conducted a series of development servises to completion, such as coordination of whole development (acts of development, adjustment on architectural design, services related to the Large-Scale Retail Stores Location Law) and development produce for the mall (specialty stores) (tenant leasing, environmental design plan, supervision on interior works, CI plan, sign &monument plan, operational management plan, sales promotion plan). Commercial facilties: app. 23,000 sq.m. Festival Market(Commercial facilties) reopened after full renovation. Market research, tenant leasing, environmental design, interior supervising, and management & operation planning for commercial zone (festival market). Bus terminai: app. 1,650 sq.m. Market research, planning, negotiation with land owners, tenant leasing, commercial design plan, operation plan, supervision on interior works, etc., as develpment producer. French hyper-market, Carrefour's first store in Japan. With Mitsui Fudosan, store development, negotiation with local government for Carrefour. And tenant leasing, management & operation planning, environmental design, and interior supervising on tenant zone (store area: app. 7,000 sq.m.). Commercial and Office　app. 9,900 sq.m. Public facility app. 3,300 sq.m. Hub substation app. 13,200 sq.m. We made Commercial pilot planning with the redevelopment union, after that did making execution plan for right holders' stores, commercial coordination, supervising interior works,and management & operation plan. Commercail facilities: app. 7,600 sq.m. Cinema, etc. : app. 23,100 sq.m. Marketing, planning, coordination with right holders, tenant leasing, store design planning, and making operation plan, for commercial zone under concept of "Natural & Beauty". Retail: Costco (American wholesale club), 140 specialty stores Others: Virgin Cinemas (English cinema complex), Restarunts, Amusement, Hot springs, etc. Marketing, ajustment, tenant leasing, and construction planning with the developer, Trius. We invited foreign tenats, Costco (American) and Virgin Cinemas (English) as their first stores in Japan. 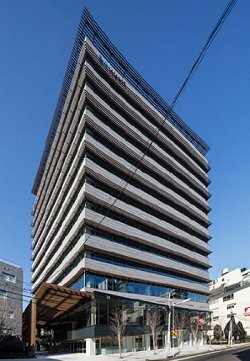 We served as producer of commercial development division under Sapporo Beer Kaihatsu, the developer of this project, and conducted market research, planning, development produce, tenant leasing, and operation for five years. We rented floor(app. 2,600 sq.m.) in 100-year-old Brick House from Sapporo Beer Kaihatsu, making it as "Northern Life Pavilion" filled with northern fantasic atomospher and subleased to tenants. On expiration of the 6-years period of rental contract, we have returned the floor to Sapporo Beer Kaihatsu on May 1999.